Sifting through mountains of remix trash so you don’t have to, in an attempt to find the ones that contribute to their originals. 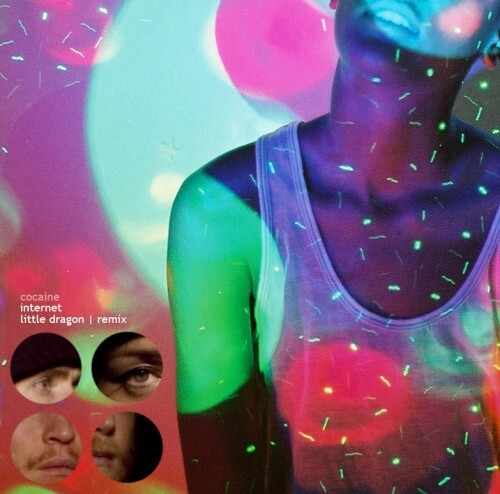 After The Internet’s recent release of the Cocaine EP featuring their track of the same name, The Internet is ready to share Swedish pop titans Little Dragon’s remix of “Cocaine”…!! Odd Future’s The Internet (Syd The Kyd & Matt Martians) will release their debut album Purple Naked Ladies featuring “Love Song -1”, “They Say” and “Cocaine” on Odd Future Records digitally on December 20th. The physical version featuring 3 bonus tracks and exclusive art and packaging will be in stores Jan 17th. Digital release tracklisting below. Odd future, yadda yadda, that’s cool and all, but the point of this post is more to share this amazing Little Dragon performance of “Forever” from 2007. Old, sure, but age is made up for by minimalism, beauty, delicacy, endless wonder, etc. etc. 7. Gurl (ft. Pyramid Vritra).